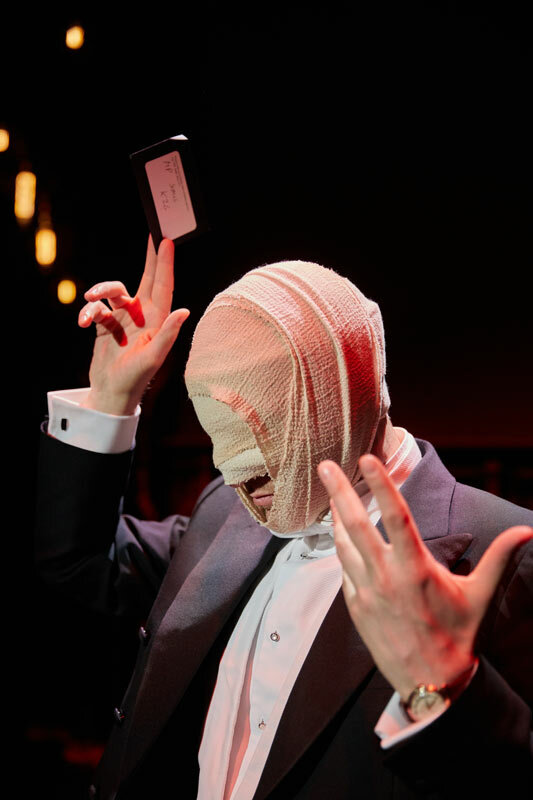 Derren Brown, the multi-award winning master of mind control and psychological illusion, wowed audiences in London last year with his mesmerising show Underground. The show originally ran at the Charing Cross Theatre and then the Playhouse Theatre in the West End. The show has recently returned for a nationwide tour of the UK and Ireland. Having supplied the original London production, White Light was called upon to provide the lighting for this latest tour. 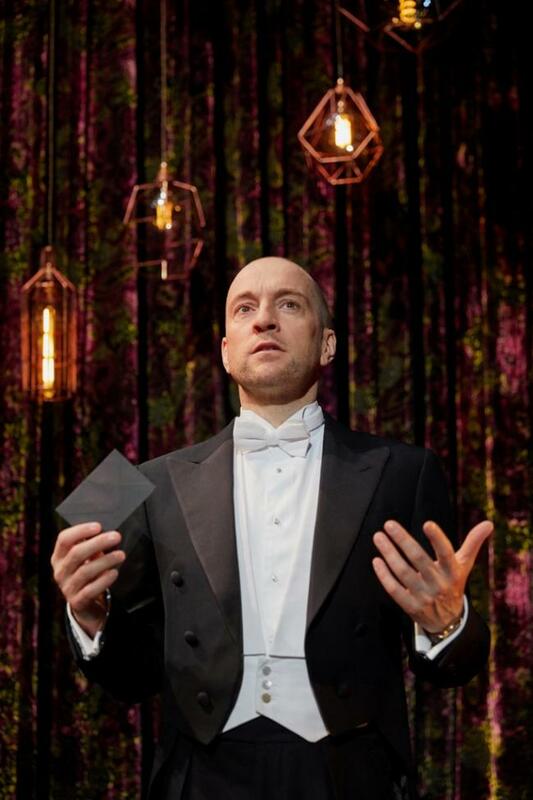 Derren Brown: Underground is directed by Andrew O’Connor and Andy Nyman and features a lighting design by Charlie Morgan Jones. Charlie comments: “When I was first approached to light Underground, we talked a lot about bold looks. I’m a huge fan of the Great British Backlight so was determined to throw in some epic scenes from the up stage position. The Set Designer Will Bowen had created some beautiful Victorian drapes which I wanted to light in different colours; dependent on the various sections of the show. It was also really important to maintain the focus on Derren so I was conscious of drawing on kit that was able to close in on different sections of the stage with precision and subtly. I was also keen to light it very theatrically, giving the performance an extra texture”. To achieve this look, Charlie approached WL to supply him with his ideal rig. He explains: “For the show, I’ve drawn on a range of Martin MAC Auras, which are great units because of their size. A lot of the stages on tour are fairly shallow and the LX bars needed to fly in fairly low without seeing any noses. The show also uses ETC ColourSource Sports and a plethora of ETC Source Four Minis”. Whereas a lot of West End shows have to significantly change when embarking on a tour, this wasn’t the case for Derren Brown: Underground. Charlie explains: “The West End version of the show was actually the largest revamp that Underground when through in terms of lighting. We kept the Martin MAC Auras from the previous UK tour but added in ETC ColourSource Spots along with some clam shell footlights. We’ve then gone on to keep all of this for the 2018 tour, which means that audiences across the UK are seeing a carbon copy of the West End version”. That said, as with any touring production visiting different venues on a weekly basis, Charlie had to adapt his design slightly for each theatre. He explains: “The main thing that’s different in every venue is the followspots and their operators. They have such an important job as they provide all of Derrren’s key lighting. That said, we’ve been very lucky on the tour as we’ve only encountered really great people”. The show opened in Liverpool back in April and has visited Eastbourne, Hull, Nottingham, Cardiff and Dublin to name but a few. It is currently in Bournemouth at the Pavilion Theatre. 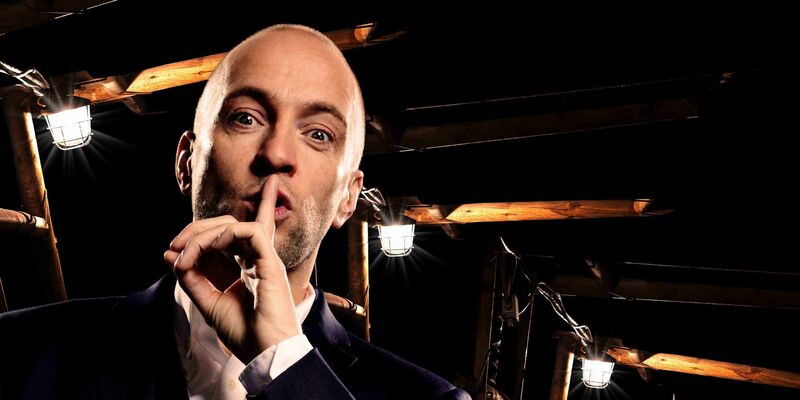 Charlie concludes: “I’ve loved every minute of working on Derren Brown: Underground. It’s not only a fantastic show but I’m surrounded by a brilliant team including Paul Walmsley, my amazing Programmer, and Andy Murrell, the Chief LX and Touring Relighter. Without them the show wouldn’t happen. I also want to thank the WL team for their support on every stage of this production”. Photos courtesy of Mark Douet.